The increase of riches and commerce in any one nation, instead of hurting, commonly promotes the riches and commerce of all its neighbours. It is not, therefore, reason, which is the guide of life, but custom. For my part, when I enter most intimately into what I call myself, I always stumble on some particular perception or other, of heat or cold, light or shade, pain or pleasure. I never can catch myself at any time without a perception, and never can observe anything but the perception. We have no other notion of cause and effect, but that of certain objects, which have been always conjoined together, and which in all past instances have been found inseparable. It is an absurdity to believe that the Deity has human passions, and one of the lowest of human passions, a restless appetite for applause. 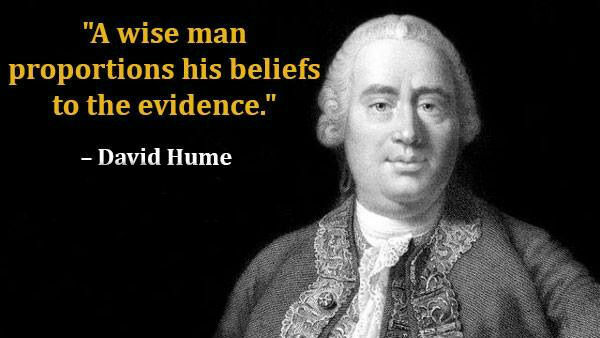 David Hume was born in Edinburgh, Scotland. He was a Scottish philosopher, historian, economist, and essayist, who is best known today for his highly influential system of radical philosophical empiricism, skepticism, and naturalism. He nevertheless found literary success in his lifetime as an essayist, and a career as a librarian at the University of Edinburgh. His tenure there, and the access to research materials it provided, ultimately resulted in Hume's writing the massive six-volume The History of England, which became a bestseller and the standard history of England in its day. After a brief working experience in Bristol, he travelled to France in 1734 where explored the philosophical domain and wrote A Treatise of Human Nature. 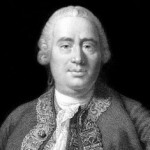 He returned to England in 1737 and published the Treatise, which opened to negative reception. In the year 1744, ‘Essays Moral and Political’ got published.